Fun to look at … but the sharp spikes may just be an air gun test or something. 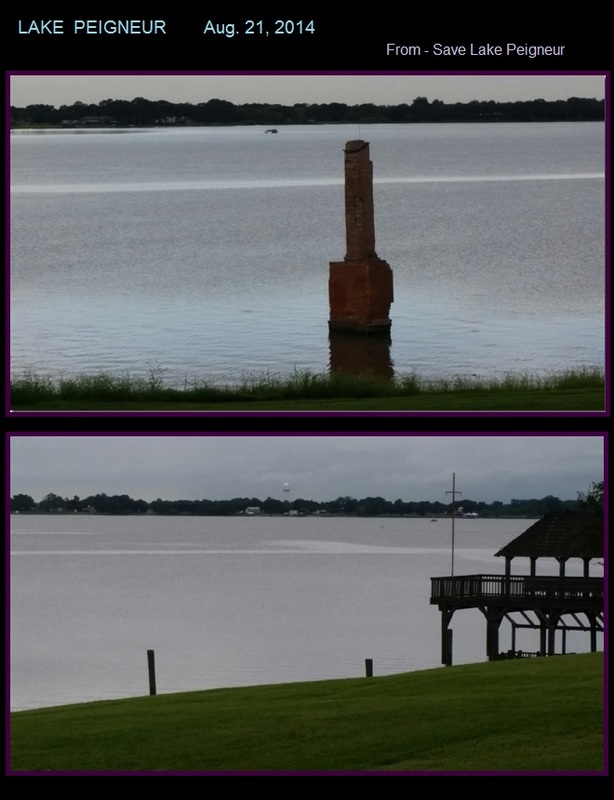 Bubbling continues at Lake Peigneur. The DNR & AGL Resources were notified of some unfortunate changes in the bubbling phenomena. We have had a few bubbling events over the summer however, yesterday’s event indicated significant changes. Most of the previous bubbling events ran in linear east/west movement. Yesterday the bubbling ran north/south and irregular lines. After discussion with the AGL contact the company will also monitor activities in our process to determine the cause of the bubbling. Oklahoma frack-quakes are getting really big, besides being constant. They may affect Lake FUBAR too. 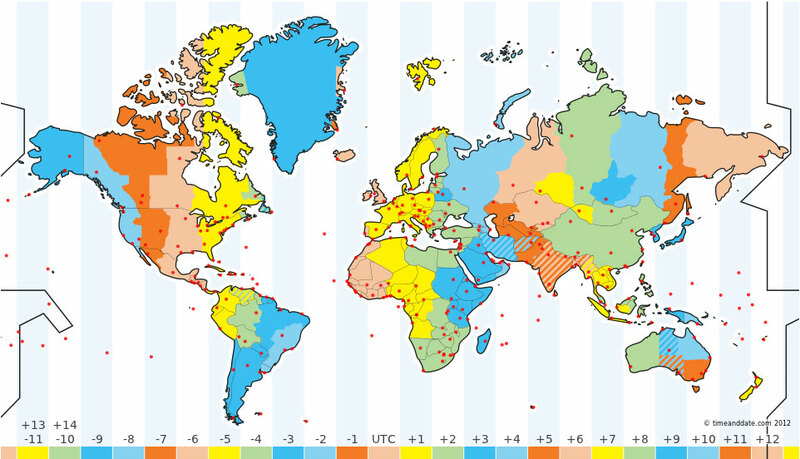 4.2 quake yesterday. Texas Brine has a newish fact sheet out. .. Crosstex hasn’t said what they are up to since Aug. 9th (!!). Since we last complained about no updates there still aren’t any =sigh=. Days after work on the Bayou Corne sinkhole halted briefly due to increasing tremors, state regulators ordered Texas Brine Co. to stop production at a second salt dome cavern near the underground cavity that failed two years ago and spawned the sinkhole that has driven hundreds of people from their property. Louisiana Conservation Commissioner James Welsh ordered Texas Brine on Monday to perform a round of tests to ensure the integrity of the massive underground cavity, known as Oxy Geismar No. 2, and develop a plan if problems are found. The cavern under the microscope is a little more than the length of football field away from another cavity that Texas Brine mined until a breach in the supporting salt wall set off the underground shifting that eventually led to the sinkhole in August 2012. A federal judge has granted final approval of a $48.1 million class-action settlement for Louisiana residents affected by a 37-acre sinkhole that opened two years ago has been swallowing land ever since. U.S. District Judge Jay Zainey said Wednesday there were no objections to the settlement. 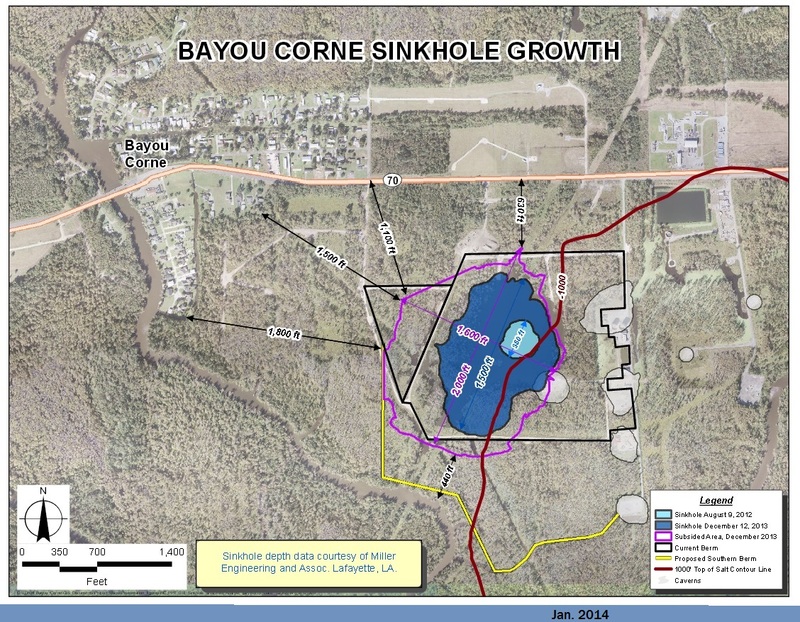 It will compensate 269 people who lived in the Assumption Parish community of Bayou Corne. . . .
Phillips 66 is making a new gas storage salt cavern near Sweeny, Texas – good luck with that one! Natural gas futures bounded higher Thursday following the release of government storage figures that were significantly less than what traders and analysts were expecting. . . .
Oopsie! We accidentally deleted today’s news! The problem was there was big news from the parish blog but we accidentally re-blogged it to the FC blog instead of here. So … (oops!). 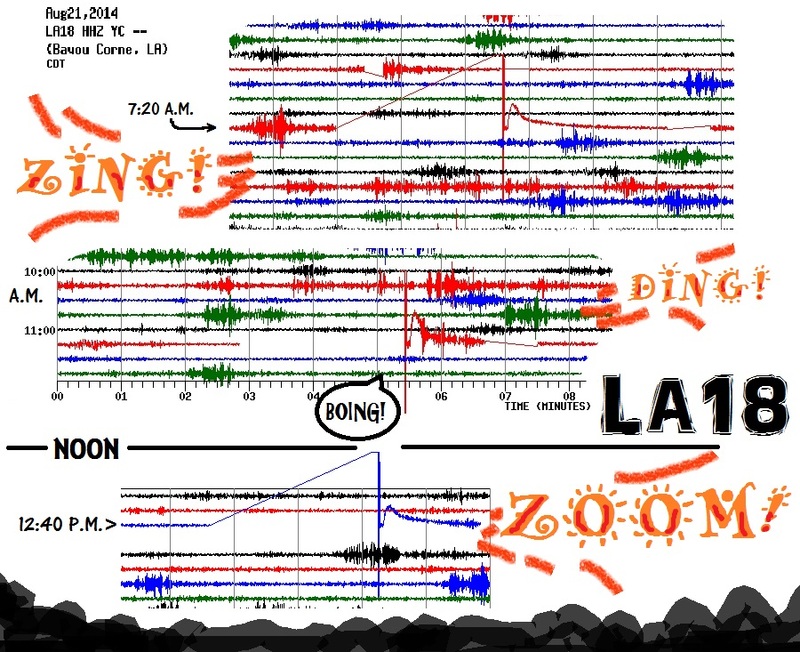 In a recap – at 2 a.m. the helicorders showed big fluid movement … but there was a big Mexico quake at that time. Slosh, slosh. slosh. WIPP town meeting (looks like a bosses’ meeting) live stream #1. The rest of it. The helicorders at Lake FUBAR were pretty quiet until noon then they started up and then sputtered. LA18 shows it. 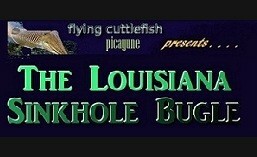 NAPOLEONVILLE — The state district judge presiding over year-old lawsuits seeking reimbursement of state and parish costs from the Bayou Corne-area sinkhole urged Texas Brine Co. and its insurers Monday to turn their attention away from internal battles over coverage and focus on settling the primary legal claims seeking to recover taxpayer dollars. Judge Guy Holdridge, of the 23rd Judicial District, told a courtroom of more than two dozen lawyers from Texas Brine Co., its insurers, and state and Assumption Parish government that he has dealt with similar cases in the past involving multiple insurers and millions of dollars in claims and that the sheriff’s and Police Jury’s claims, in particular, are worth just several hundred thousand dollars each. “My frustration is why are we working and kneading me up as a judge over these small claims, and I’m having to deal with 1,000 New Orleans lawyers. 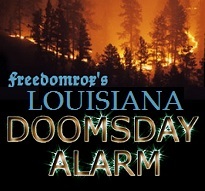 I don’t know why we are doing this,” Holdridge said at the Assumption Parish Courthouse in Napoleonville. . . .
There’s been almost no updates posted lately from DNR. The last peep from DHH was in 2012. The last Tetra Tech update was 2-19. The last Texas Brine update for the Conservation Dept. was 2-19. The last public briefing report was 3-11. The last work plan was in April, 4-28. The last peep from the Blue Ribbons was in March. The last declaration from Baton Rouge was 3-18. The last subsidence information was one report in January then silence. The last data sample update from DNR was from 2012 then silence. The last DNR photo and maps update was in May. The last inspection report was 7-31. Pretty recent compared to other reports. 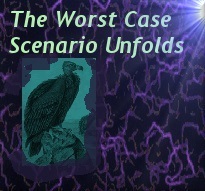 The last Situation Summary was 7-9. The summary has info from USGS that is from 7-9 for the last entry. On p. 49 the Science Group says they last held their monthly (sic) meeting on 2-19. DOTD has a situation summary too and things seem to be on different pages than the document above. It has an August date on it. DOTD last posted roadway test data for 2-26. Their last roadway survey is just as old. On the roads they surveyed the one for Hwy 70 is the same date but the data in the document is from 2012(!). There have been no photos since 2013. There was an Assumption Parish Police Jury meeting on July 23 but they just talked about drainage. DEQ has a new situation update Aug. 3 but they don’t report any stats. They just say everything’s fine. They have a water quality report for 7-29. They have a July air sample report. The Texas Brine Action Plan was pretty recent, Aug. 3. Oxy has one too for Aug. 3. So does KDS Promix, DOW, Arcadian Gas, Chevron and Crosstex. Chevron is reducing inventory and slowing down. They don’t say it is due to instability but we doubt it is a reduction to greed that prompts them! Arcadian is idle too. Texas Brine’s Action Plan uses an incredibly old photo of Lake FUBAR. We wonder how they can plan anything without a current picture or map. The last Texas Brine drilling report was for 2012 just after the collapse. They say they closed Oxy 3 with a master valve so maybe they didn’t do any more drilling and that was the last report. Largest methane seep in the world found off the eastern coast of U.S..
June 19, 2013 – SOUTH CAROLINA – On the seafloor just off of the U.S. East Coast lies a barely known world, explorations of which bring continual surprises. As recently as the mid-2000s, practically zero methane seeps — spots on the seafloor where gas leaks from the Earth’s crust — were thought to exist off the East Coast; while one had been reported more than a decade ago, it was thought to be one of a kind. But in the past two years, additional studies have revealed a host of new areas of seafloor rich in seeps. . . . It is good to know what is happening behind the scenes.